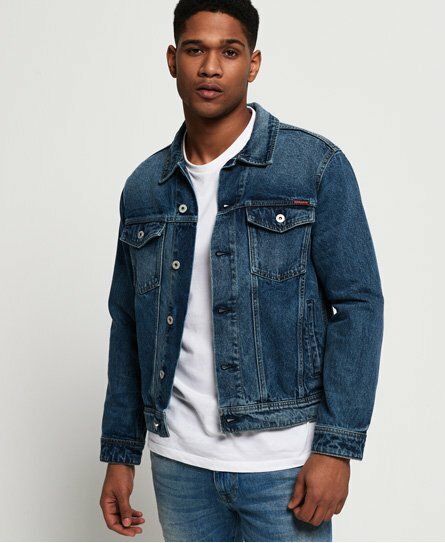 Superdry men's Highwayman Trucker denim jacket. The perfect casual jacket this season, featuring four front pockets, button fastening and button cuffs. The Highwayman Trucker jacket has been completed with branded buttons and subtle logo badge on the chest. This is a must have this season and will be the perfect finishing touch to any outfit choice.